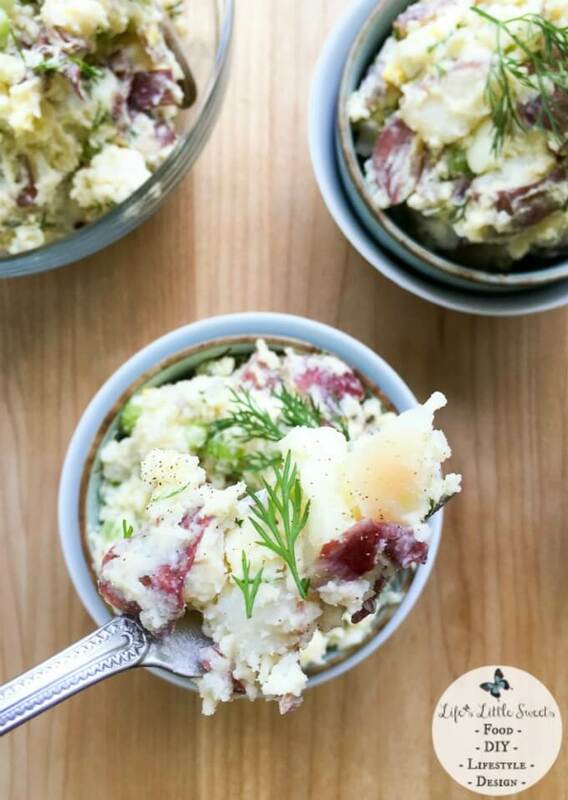 This post first appeared as “Red Bliss Potato Salad with Dill” over at Eazy Peazy Mealz where I’m a contributor. Potato salad is just one of those dishes that can easily be taken for granted. It’s something that I frequently make and have been making for years but I have never shared until now. 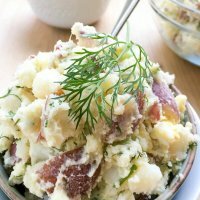 This particular Red Potato Salad with Dill recipe has evolved to what it is today from watching my mom make her potato salad, combined with my tastes and pursuit of finding that perfect balance in texture and flavor. Check out a list of what you will need and my 11 tips for success with this recipe below. Have you ever had a potato salad that is just “blah”? 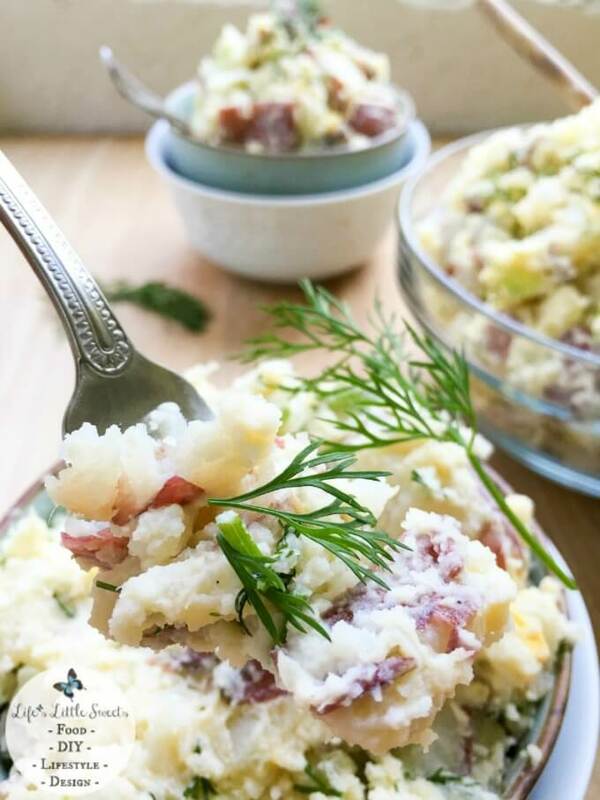 By just paying attention to a few details, you can make this recipe a standout as well as apply these tips to any other potato salad recipe! When boiling water, put the cut potatoes in the water before turning on the heat, this way you will avoid pouring potatoes into boiling water, yikes! When boiling the potatoes, salt the water with 1 tablespoon kosher salt. This way, the salty flavor will be infused throughout each piece of potato making it much more flavorful to eat! After the water is brought to a boil, It takes 20 minutes for the potatoes to cook. I like the potatoes to crumble slightly, if you prefer them to be more firm, you might want to do 15 minutes, just test a larger piece, using a slotted spoon to get one and poke it with a fork. If the fork slides out easily, then that means the potatoes are cooked through. 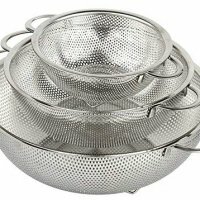 After potatoes are done, drain in the colander, then rinse cold water over them, this ensures that the potatoes will stop cooking. Plan ahead, boil the potatoes ahead of time and make sure they are completely chilled through before mixing all the ingredients together. Use fresh dill, this make a huge difference for this recipe over using dried dill. It will add to the fresh, Summer flavor and feel of this recipe. Make sure it is is not limp and looks healthy, remember: the finished recipe is the sum of it’s ingredients. Keep some sprigs of fresh dill in water in the refrigerator, this keeps the dill hydrated and perky to garnish the salad for serving. I suggest making the recipe the night before the time/event of serving. It tastes better when all the ingredients have had time to “marinate” together. 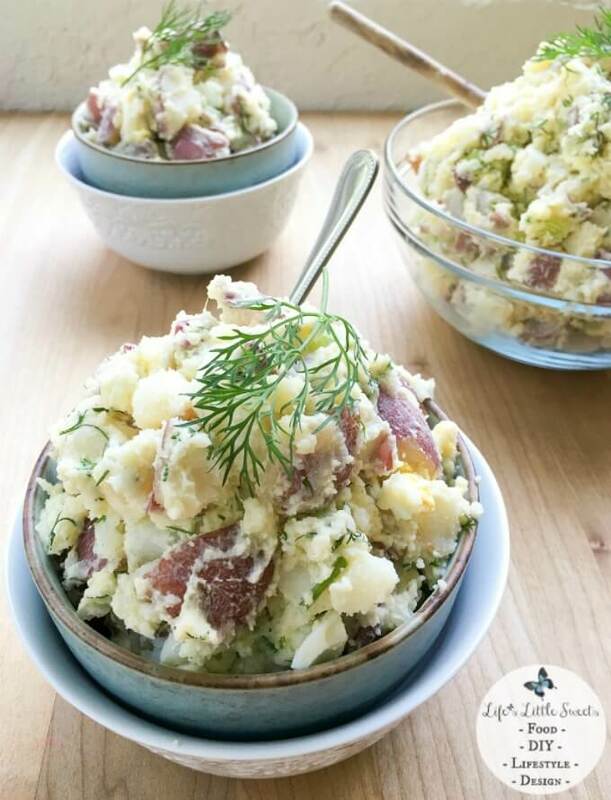 Feel free to adjust the ingredients to suit your tastes and dietary needs, for example, you can adjust the amounts of salt, pepper, mustard or mayonnaise, add more celery if you want even more crunch or dial back on the onions if you aren’t crazy about them – Red Bliss Potato Salad with Dill is a flexible and forgiving recipe. Do not freeze, potato salad, in general, does not freeze well. After making this recipe, it should keep for 3 days in the refrigerator. Since this is a Summer recipe, please remember not to eat anything that has been left out, if possible, keep it refrigerated or in a cooler with ice, after serving. If you are looking for another easy recipe to bring to a gathering or to make at home, try my Lemon Garlic Hummus and for a simple, Summer salad dressing, check out Lemon Dijon Dressing (P.S. You make it in a mason jar!). 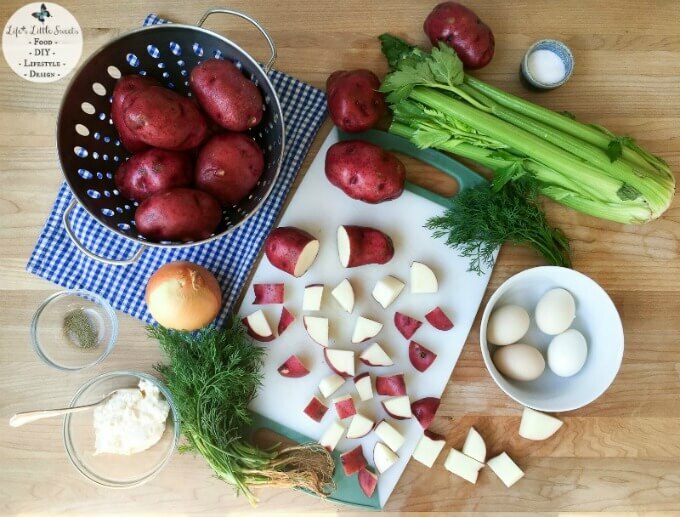 Thank you for reading, I enjoyed sharing this Red Potato Salad with Dill recipe with you! While the potatoes are boiling, you can also boil the eggs by bringing water to a rolling boil, spoon each egg in, turn heat off and let them sit in the water for 10-12 mins. 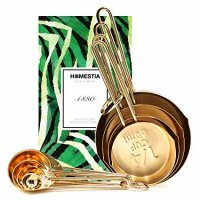 When the time is up, spoon eggs out of the water, rinse in cold water to prevent them from cooking further and put into a bowl and refrigerate until chilled. 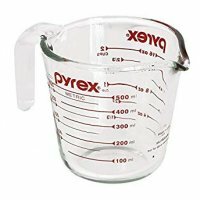 (You could also peel them under cold running water, right after they are cooked but I usually peel them later.) When they are completely chilled, remove shells and chop. 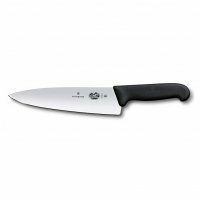 Combine chilled potatoes, chopped celery, chopped onions, fresh chopped dill, chopped hard-boiled eggs, mayonnaise, Dijon mustard. You can add any additional salt and pepper to taste now or before serving. Garnish with extra dill sprigs. You can serve right away or chill in the refrigerator. Serve and enjoy! 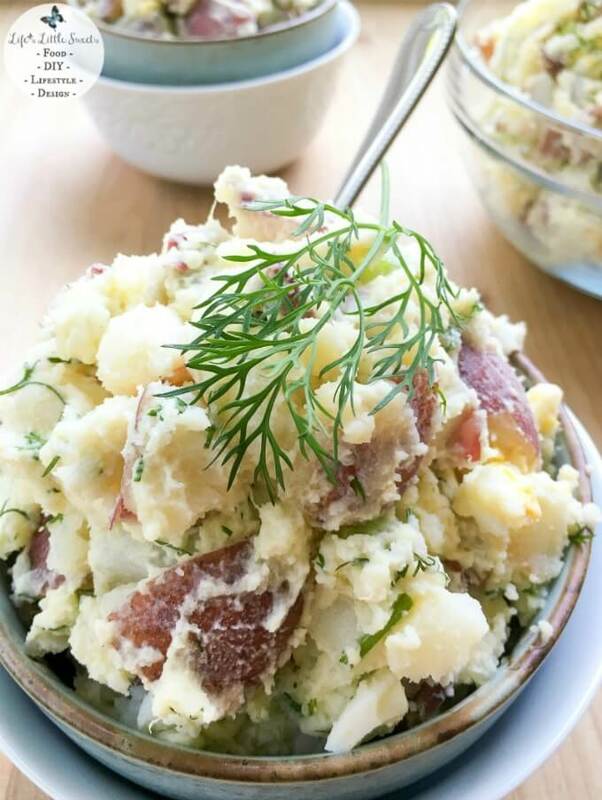 If you like this Red Potato Salad with Dill recipe, Check out my #FoodieMamas recipes and my dinner category. 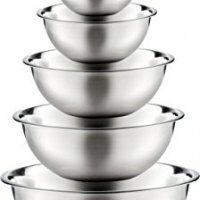 What’s your favorite salad to bring to a gathering? Let me know in the comments below! Yum – this looks wonderful. I will try it, because I needed a new potato salad recipe for the summer. Adding dill makes it truly an awesome recipe! Thank you Linda, there’s nothing like classic potato salad!